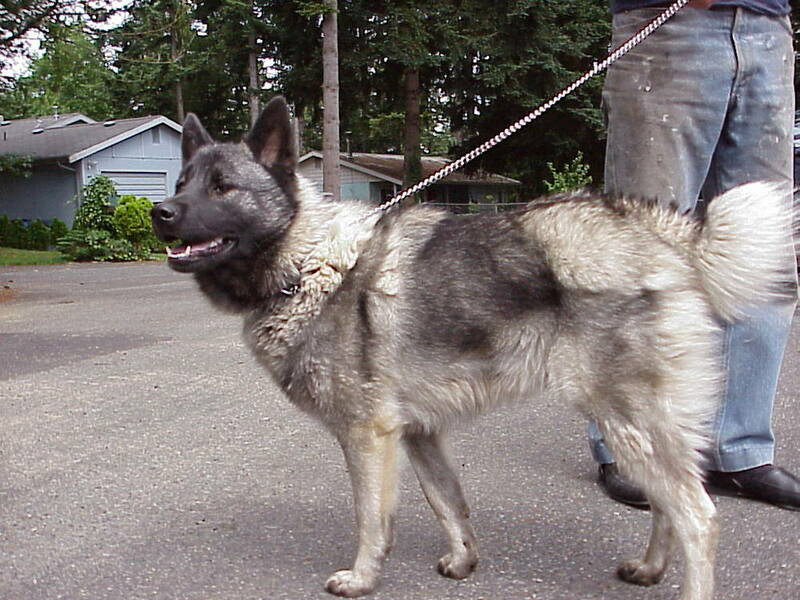 A classic northern Spitz, the Norwegian Elkhound is square proportioned and well balanced. The wedge shaped head is broad at the ears and clean cut, ending in a tapering muzzle; stop is clearly defined. Eyes are oval, medium sized and very dark brown in color. Ears are high set, erect and pointed. The Norwegian Elkhounds body is muscular and well developed, with substantial bone. The back is straight and strong, and the chest is deep. 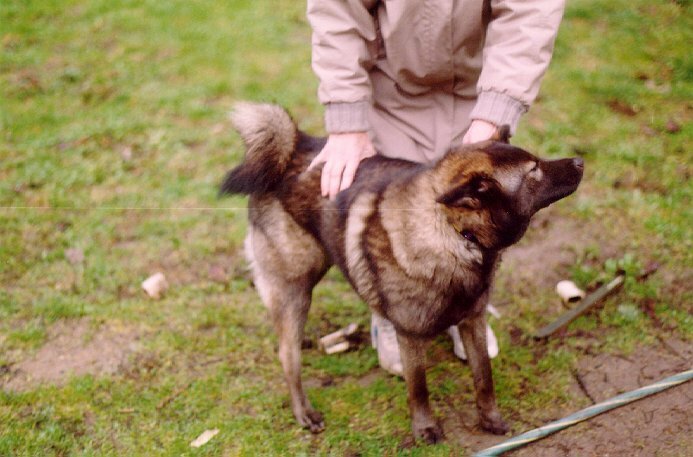 The dogs tail is set high and is curled tightly over the centerline of the back. The double coat consists of a dense and woolly undercoat covered with a coarse, straight outer coat. Coloring is in various shades of gray, with the saddle being darker than the rest of the body, and the muzzle, ears and tail tip black. 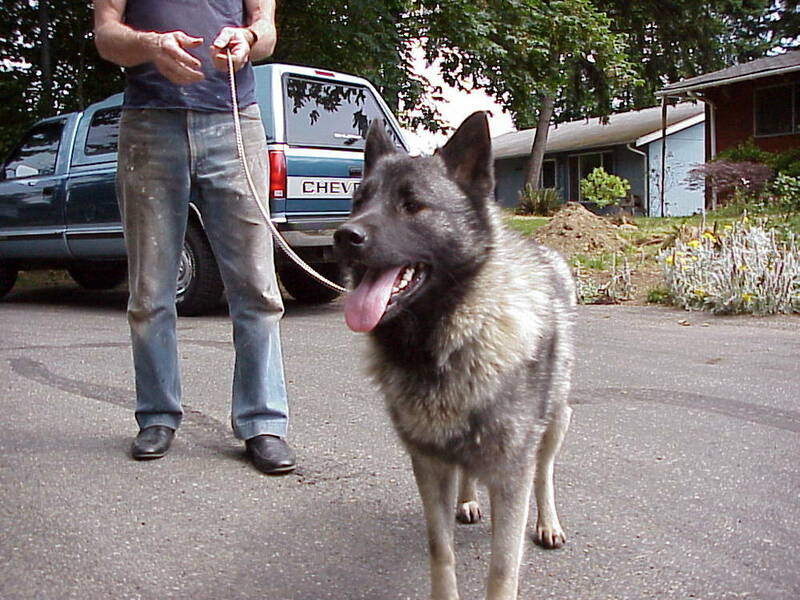 Common Misspellings Norwegian Elk Hound, Norwegen Elkhound, Norweigan Elkhound or Norwiegan Elkhound. 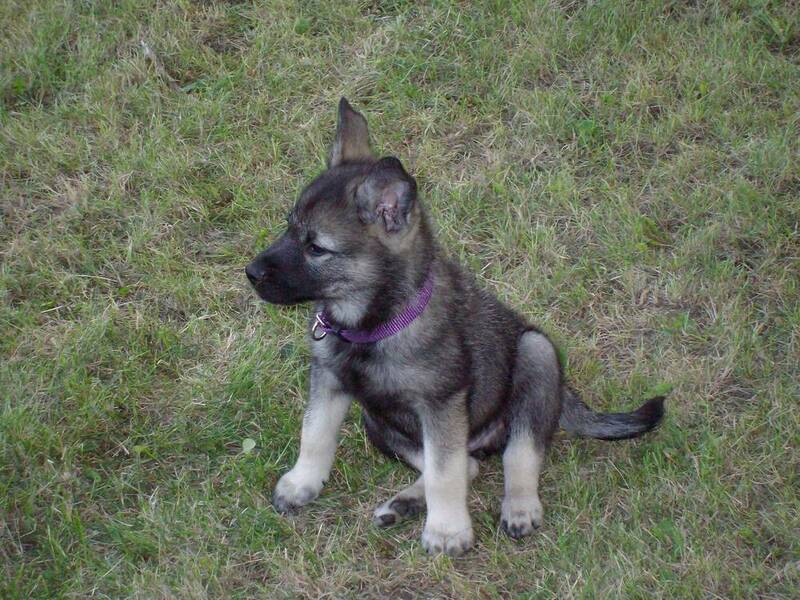 The Elkhound is known to view the family as its pack and is loyal to each family member, without playing favorites. The dog is very energetic and playful and enjoys the antics of children, though its sometimes rowdy play may be unfit for very small children. 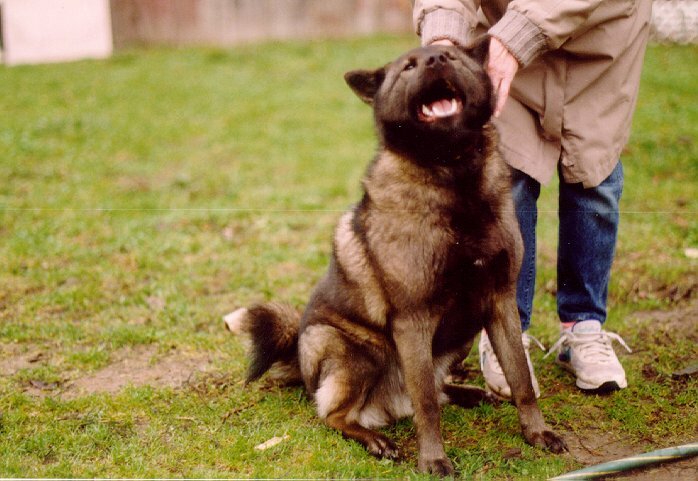 Extremely independent by nature, the Norwegian Elkhound can be difficult to manage at times, and thorough obedience training from a young age is therefore imperative. This breed is usually friendly toward strangers, but may have problems getting along with pets and other dogs. The Elkhound enjoys using its voice. A long walk or stimulating game will always be greeted with a wagging tail. 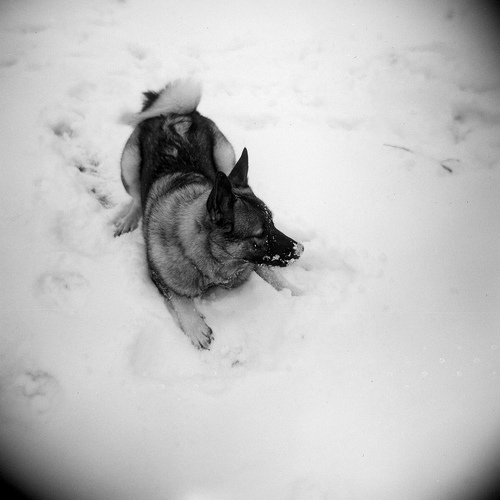 Norwegian Elkhounds can become destructive if not exercised sufficiently. This dog absolutely adores the cold but has limited patience for heat. Shelter on hot days is a must. The Elkhound is hardy enough to live outside, but much prefers to live inside with its loved ones. Affirmative discipline from a young age will help to counteract the dogs occasional stubborn spells. The coat needs to be brushed biweekly during most of the year, and may require daily attention during shedding season. 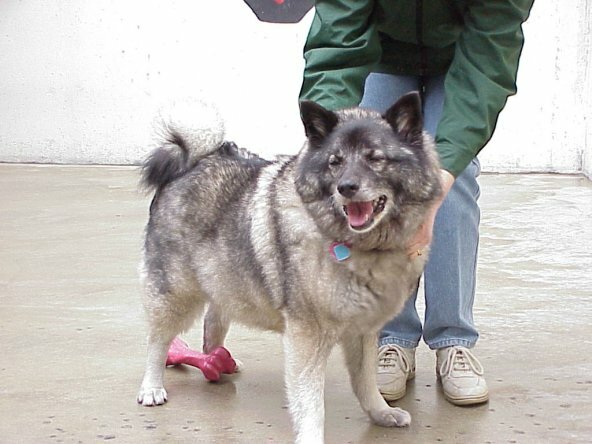 The most important health concern for the Norwegian Elkhound is canine hip dysplasia; other concerns include kidney disease, hot spots and sebaceous cysts. From that time to the present, the breeds development has been virtually unaltered by man. 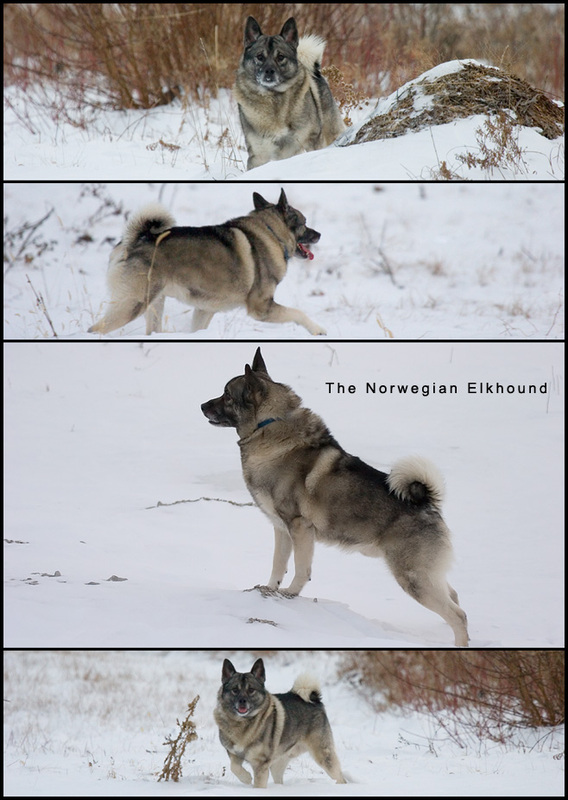 The people of Scandinavia have employed the Elkhound as a herder, guardian and hunter for thousands of years. 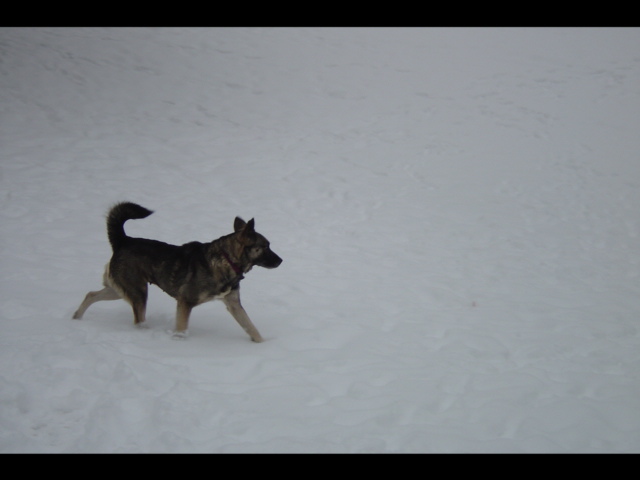 A skilled scenthound, the Norwegian Elkhound has hunted various types of big game, but it was most commonly used to hunt moose one wonders why it is not called the Norwegian Moosehound. Elkhounds are not meant to take down a moose, but rather to sniff out and locate a moose, and then hold it at bay and alert their gun-toting masters of the mooses presence. Despite the Norwegian Elkhounds millennia of domestication and service, it was not considered as a show breed until 1877. Around this time, the dog was introduced to England and the United States, where it was recognized by the American Kennel Club in 1930. The Norwegian Elkhound is a breed of average popularity in the United States today, and is considerably more popular in its native Scandinavia. 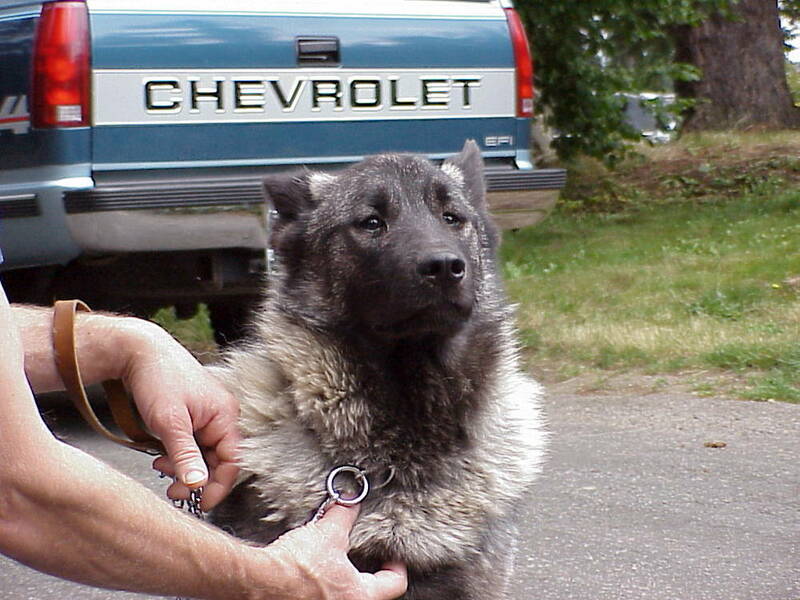 Though most often seen as a pet, the Elkhound is still used by many moose hunters.